Passionate, Intimate, and Life Changing is the best way to describe the virtuous and dynamic spirit of Kristin Rader. With a life full of charisma and passion to worship, she only knew one way to fully serve God, with her voice. With years of experience and vocal training, Kristin has given her life to perfect her instrument. As a child she was given the stage and stunned crowds with her powerful, yet calming voice. After High School she knew she wanted to pursue higher education and that no other path would leave her more fulfilled than training herself in her passion. Kristin went on to earn a collegiate vocal scholarship and was given the opportunity to sing in multiple countries around the world such as Ireland, England, Wales, Bahamas, and Mexico. After graduating from Lee University, she had the privilege of being apart of of the prestigious Chattanooga Symphony Opera Chorus. As a teenager, Kristin found herself struck in the midst of tragedy. Her life was turned upside down with news that her father was diagnosed with Cancer. A short three weeks after his diagnosis, he was taken to be with the Lord. Before he left her however, he imparted wisdom that will forever be engraved in her heart. “No matter what happens to me, God Is Still God.” After this tragedy, Kristin’s mother went through a period of deep dark depression. Not only was she left with the emptiness of loosing her father, she now had to deal with the after effects of her mothers struggles. Attempting to cope with the devastation of her fathers death and mothers trials, she had no other place to turn other than God. Through the wisdom of her father, and the strength of her Heavenly Father, Kristin was able to use this tragedy to strengthen her faith and hope in the Lord. Through these trials, Kristin was given an amazing opportunity. She now has the ability to use her story as a means of expression to show triumph and victory over dark circumstances. With every great story, creates an opportunity to eloquently express how struggles change a persons life. Kristin Rader is a true testament of God using the struggles of one individual to encourage others. With life focused on music, she had one dream, to use her gifts to reach believers and unbelievers. “I want my music to be an outlet of encouragement to everyone who hears it. 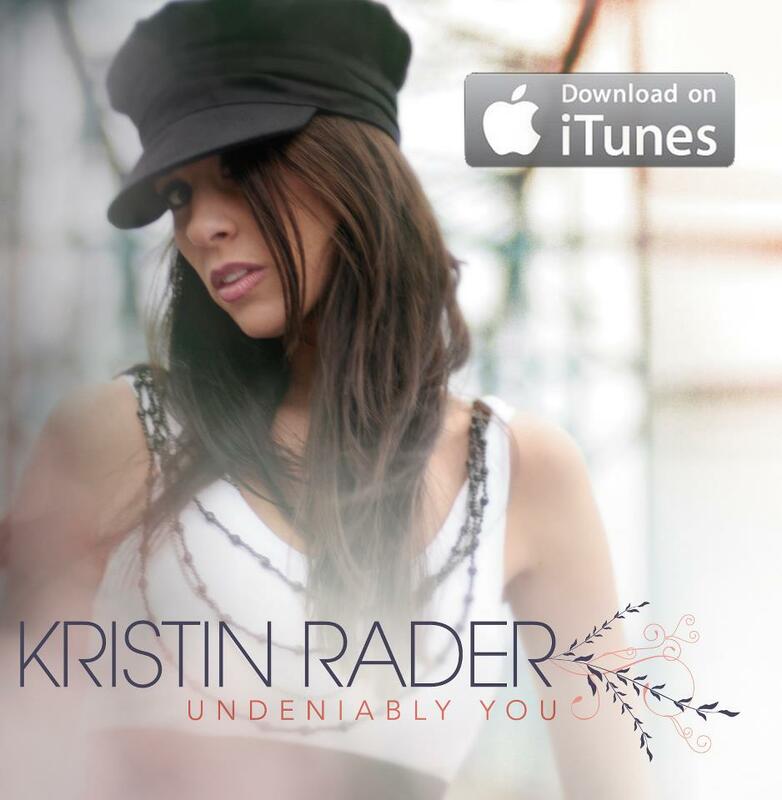 Music is the one avenue that we all have in common, there is no better median we can use to reach others.” Knowing this, she recorded her debut album “Undeniably You.” Each song leaves you wanting to hear more, while inductively sending a message to all listeners. Kristin prides herself in focusing her career on ministry. Few artists are able to bridge the gap between knowing oneself, and expressing oneself for God in such a way as Kristin. With her mind geared toward people, her music effortlessly shines the light of Christ. Each new adventure is a new opportunity for her to share her amazing testimony with others.